The Avant 605 is a brand new member of the Avant family. 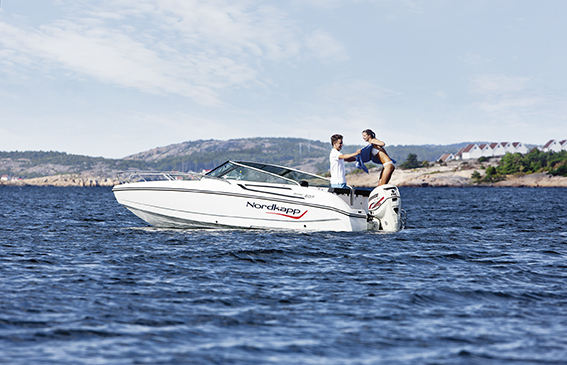 The 605 gives you, not only more space, but also the experience of a large boat with extremely good qualities. Of course you sit dry and cosy behind the full-coverage windscreen. Refined solutions, cool looks, and practical solutions are what characterize the Avant series from Nordkapp, and the 605 is no exception. The boat is made for warm tours to the skerries with friends and family. 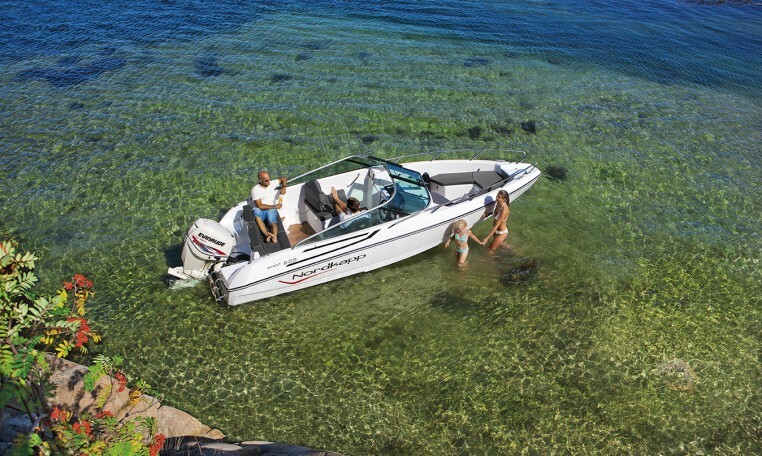 The Avant 605 has the same awarded and well functioning hull as the Enduro 605. 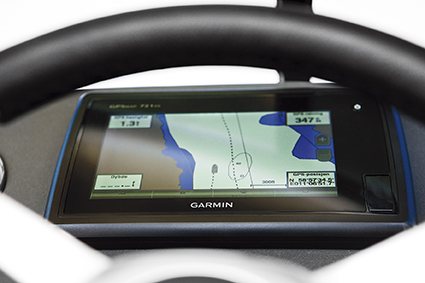 The boat can be delivered with a long list of extra equipment. The most common additional equipment are cooler, chart plotter, and canopy. All this equipment and more you can get at an extremely good price if you choose the Highline model. Design. The Avant 605 is a beautiful bowrider. Much space. In this boat we have utilized the space very well. A challenge for boats of this class has always been to find enough space for equipment. Here there is no lack of storage space. 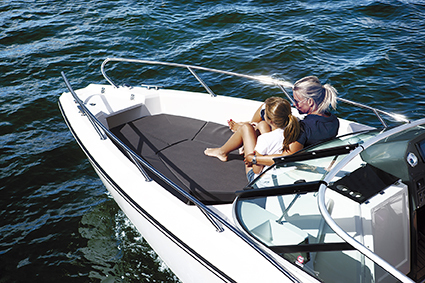 The canopy is laid down into the stern bench which also has room for everything from waterskis to diving equipment. In the console the cockpit table has its own place, but here is also room for much more. Table in the cockpit. 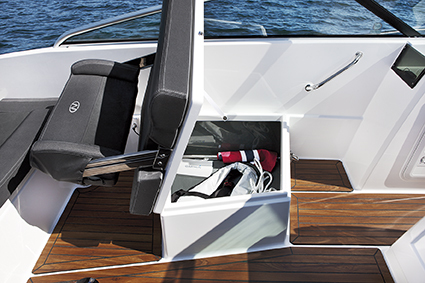 A smart detail is the hatch into the storage space in the console. The hatch is top hanged, and a specially constructed mecanism makes it possible to put it in two different positions. If you choose position 90 degrees, the hatch becomes a steady table to be used when more people need to sit at the table. Safety. 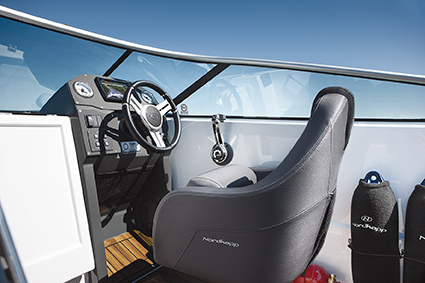 The new design of the bow makes the bow hatch wider in front. This secures an easy boarding. 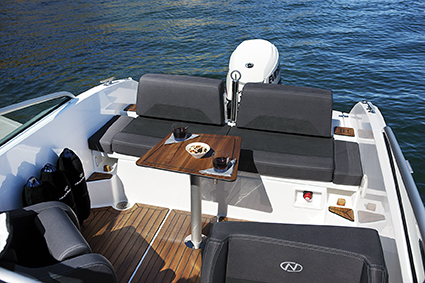 The cushion in front is devided in two, and can be tipped up in order not to walk on the cushion when entering and leaving the boat.